What is a Promo Bar? It is a special notification message that you can display at the top/bottom or right/left of your site. 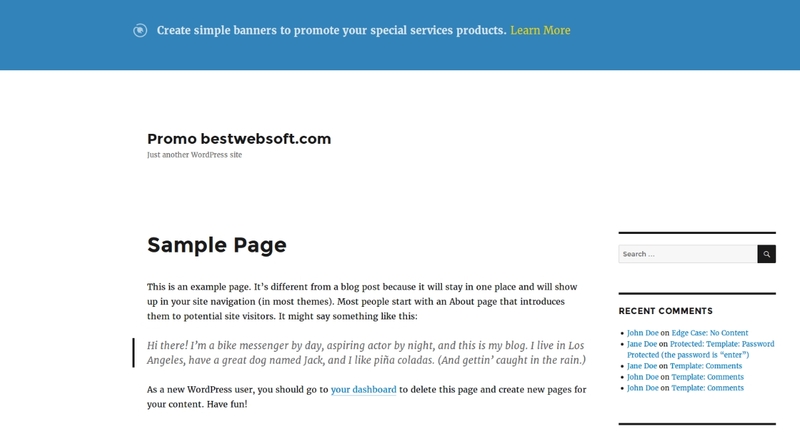 PromoBar plugin allows you to add such banner for any sorts of announcements anywhere on your website. It is an extremely useful tool for sharing information, so that you can be sure your users will stay updated. This plugin will come in handy if you want to display banners with any kind of information or advertisement on your WordPress website. You can display either notification messages about your product releases or special offer ads and service announcements. The plugin provides a number of customization options such as picking the bar design as well selecting the bar position (on all pages, on homepage only, or in any post/page/template where you added the function or shortcode). Choose pages where the banner will be displayed on the plugin settings page (available in PRO version) or use abovementioned function/shortcode. Also, PromoBar Pro version provides multisite functionality and ability to disable PromoBar display on certain post types or pages. The plugin is really simple and light to work with. The settings page is user-friendly so you won’t have any problem with it even without knowing the code. Want to have a fancy bar at the top on your website? 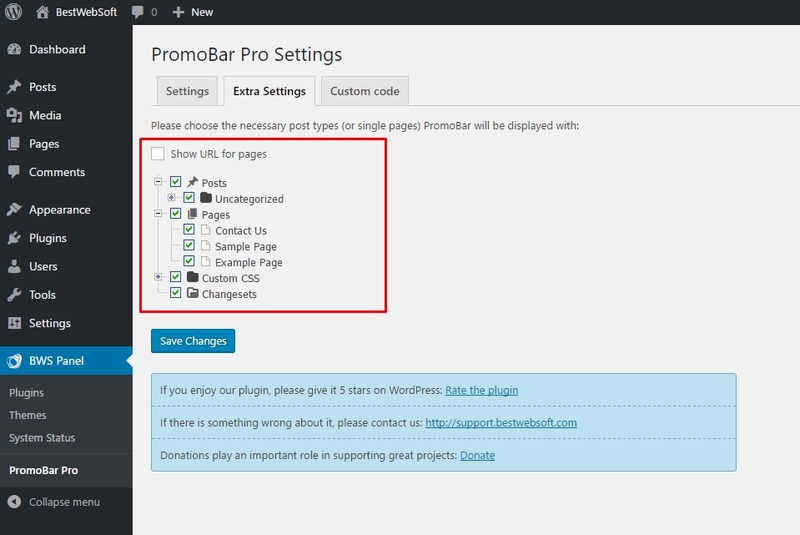 PromoBar plugin will help you to do that in seconds.